VECTOR ART RENDERING in Adobe Illustrator for WIRED Magazine / “What’s New This Christmas” Issue, 2005. 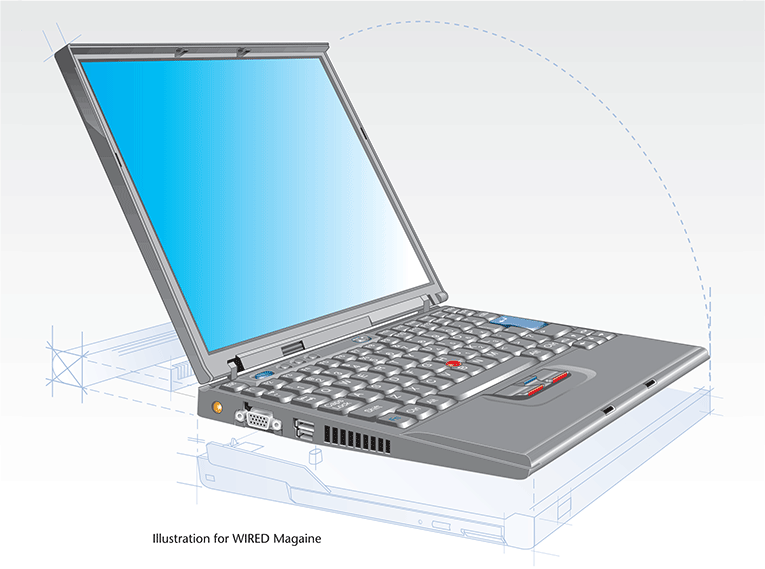 ThinkPad is a line of laptop computers and tablets developed by Lenovo and sold by IBM until Lenovo acquired the division in 2005. ThinkPads are known for their minimalist, black and boxy design based on the concept of a traditional Japanese Bento lunchbox revealing its nature only after being opened.